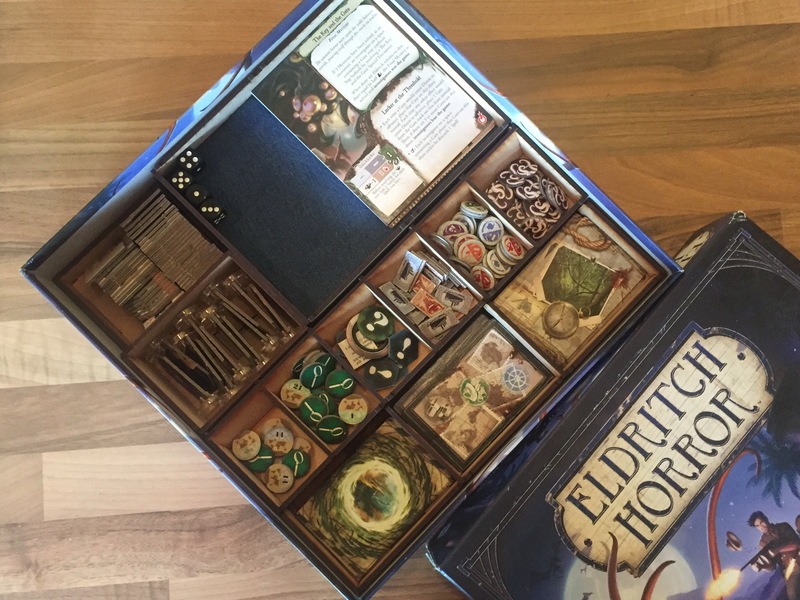 Eldritch Horror - packed away, ready to play. 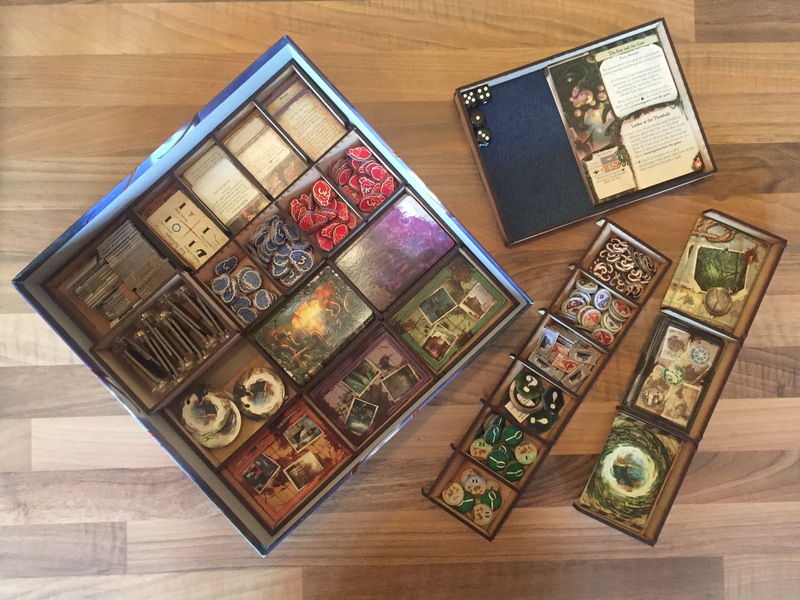 A complete organiser set ready for your Eldritch Horror. You just lift out the segments and you are ready to go. 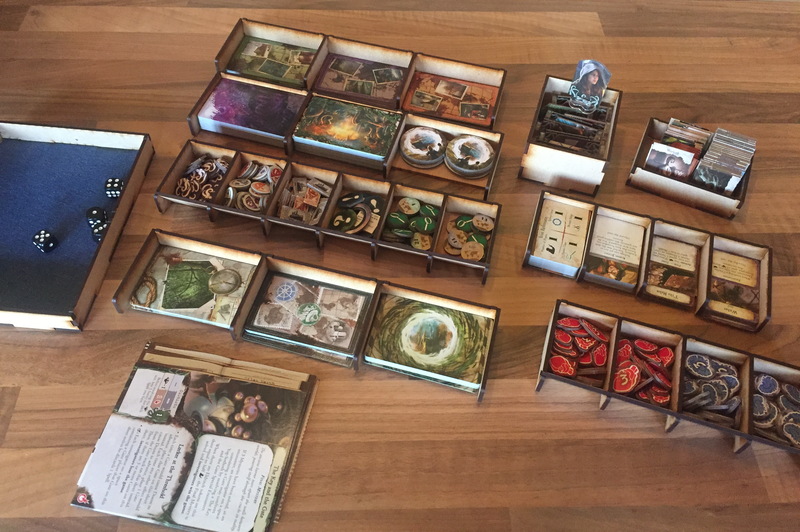 The idea of all our organisers is that you just pull out the boxes straight to the table, no fiddling, no sorting, just lay them out and you are ready to go. 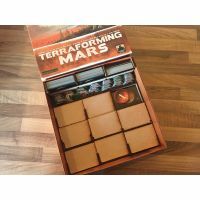 Take each tray from the box and just lay it on the table. All the cards are ready organised ready for exploring and adventuring and dying of cringing, saliva-dripping horror (not included). 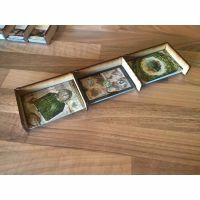 With 4 card trays (including large and mini asset cards), 2 trays for health,sanity, clues and tickets. 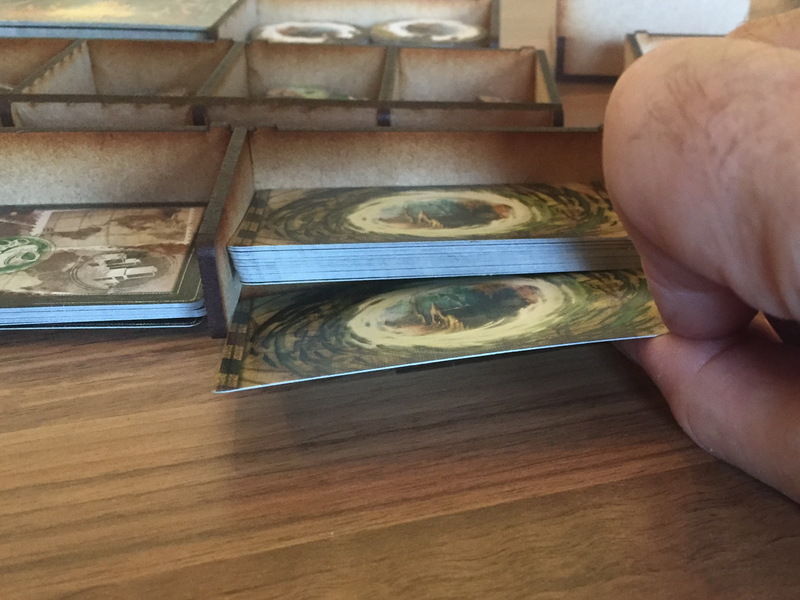 2 boxes for standees and monster tokens. 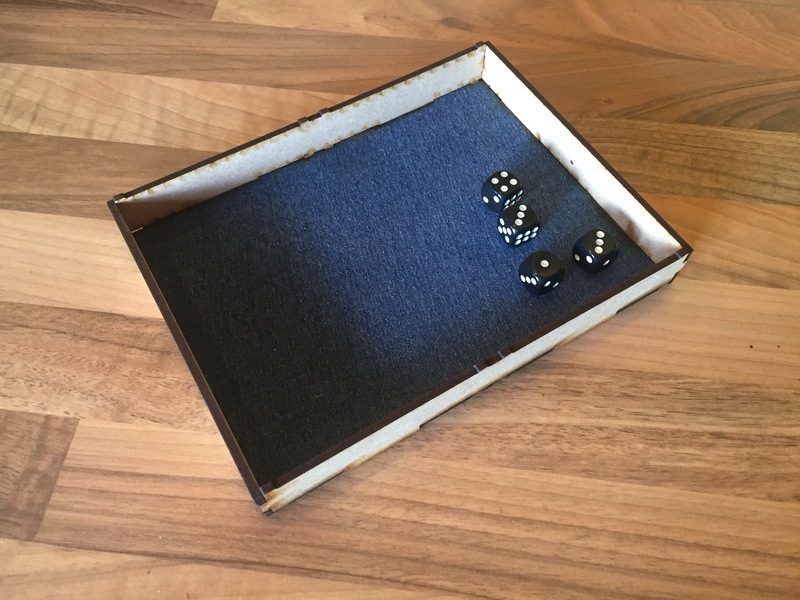 Plus a cloth covered dice tray ready for safe rolling. Every tray is unique, made with a random cloth selection, all sorts of colours and materials are possible! 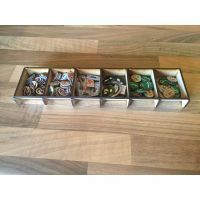 The tray makes sure that dice rolls are contained and not spilling out all over the board, but still gives you the stand up and shake excitement you don't get from a dice tower. 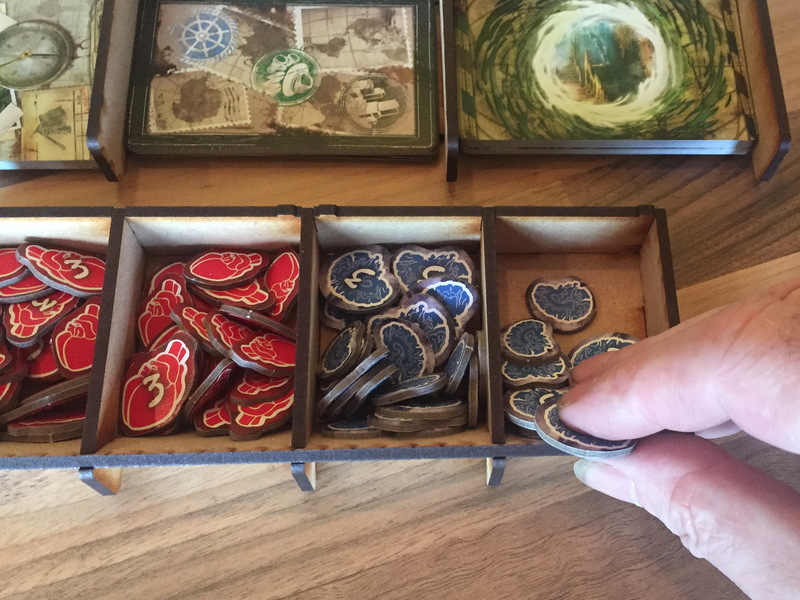 Also holds the character cards when the game is packed away.